Does your cat tend to knock over the house plants? Keep the area clean with a piece of cardboard! 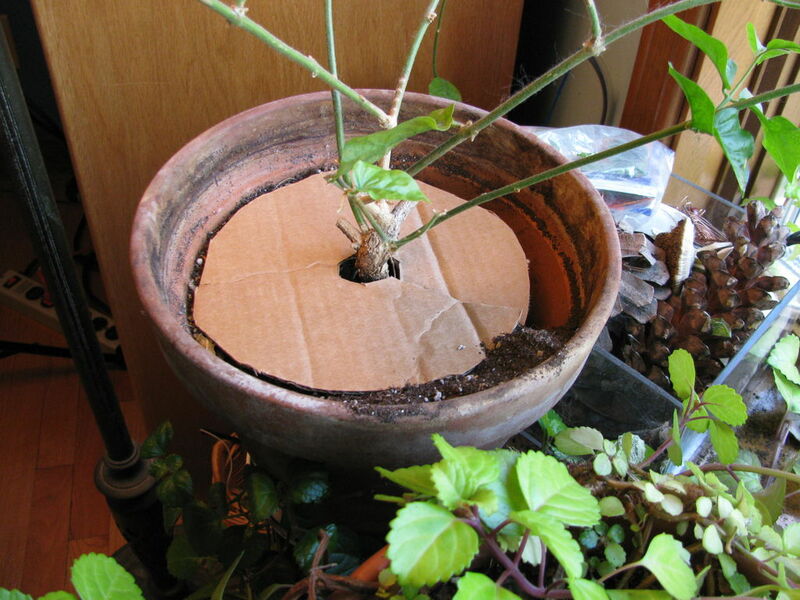 Cut a piece of cardboard to fit inside the planter, cut out a hole in the center for the plant stalk and cut a line through the circle to attach the cardboard around the plant. Remove dirt from the top of the planter if needed for the plant branches to hold the cardboard in place.